This salad introduces a flavour of autumn whilst still embracing the sweet and fresh flavours of summer. 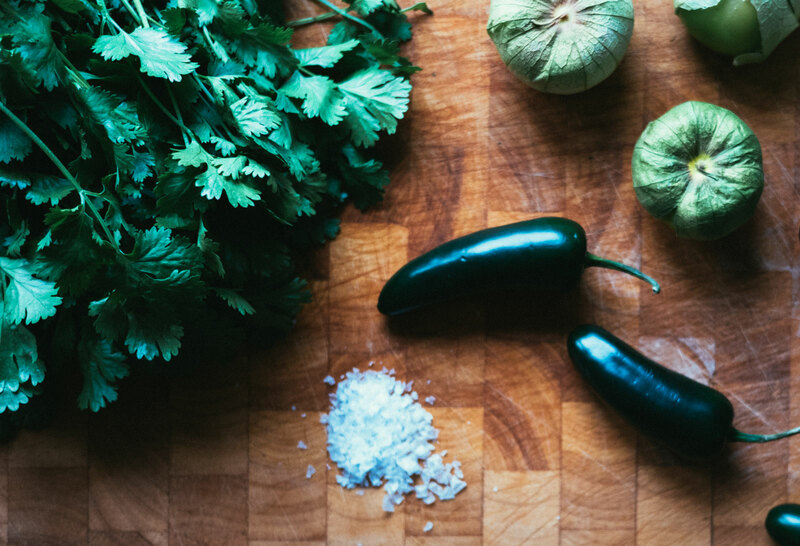 I bought the most beautiful organic tomatillos at Borough market and knew I wanted to make salsa verde which is actually pretty easy. I chose to make the raw version but there is also a baked version, both traditional in Mexican cooking. 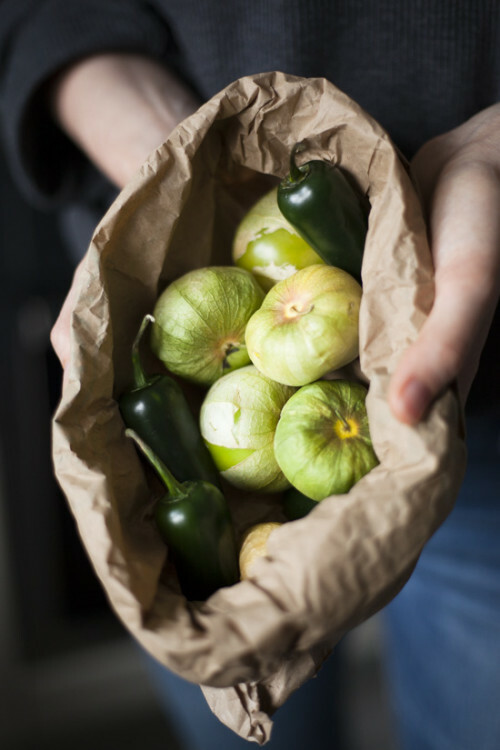 Tomatillos are green/yellow tomato-looking fruits with a leafy husk which are mixed with onion, coriander and fresh jalapeno peppers to create a spicy and sour salsa. 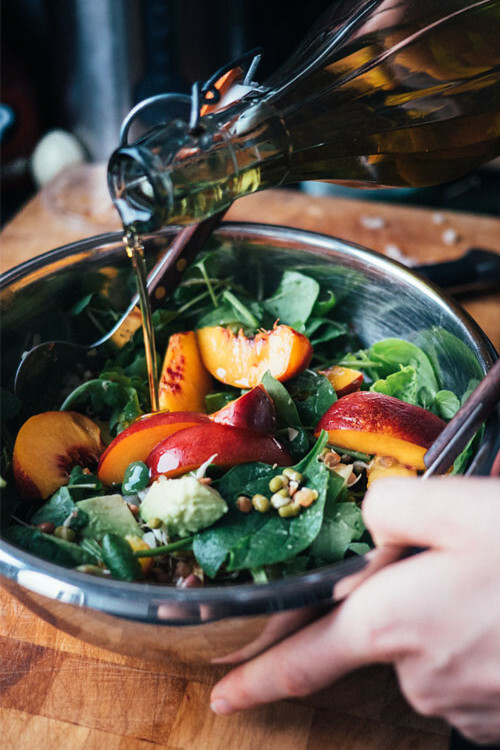 In this recipe the salsa accompanies baked butternut squash and a summery simple salad with nectarines, sprouts and avocado. The avocado is rich in healthy fats which are great for your skin and essential to other bodily functions. It is also rich in amino acids which aids eye sight as well as a row of vitamins, mainly K and C. A very nutrient rich food, I’m sure you’ve heard it all before. Also the sprouts add some needed protein to the dish. It’s said that vitamin and fiber content increases when beans are sprouted and they’re also kept raw of course. Many people eat more or just raw foods nowadays and in many foods nutrients are decreased when cooking so it’s not a bad idea to follow the trend. Peel and cut butternut squash into pieces depending on the time you would like to spend baking them. Cubes take about 20 min whilst larger pieces can take up to an hour. Place squash on an oven tray and cover lightly with olive oil and sprinkle them with sea salt and pepper as well as cayenne pepper lightly. Bake for appropriate time 20-60 min depending on size. Peel tomatillo and cut in quarters and cut open the jalapeno pepper and remove seeds (keep seeds if you’re up for some serious heat). Place both in a food processor along with leaves from the coriander strands, salt and water. Mix until a slightly watery and definitely bitty sauce is formed. Chop and stir in the onion. Place in the fridge until serving. Rinse leaves and place in a salad bowl. Add cubed avocado, rinsed bean sprouts (homemade or easily bought in most food stores), sliced nectarines and chopped onion. Dress with olive oil, lemon juice, salt and pepper and mix.